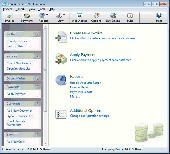 Invoice Printing Software is a billing / invoice program for any business. 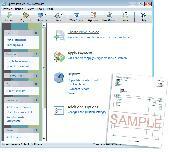 Billing software based on Excel invoice templates and add-in. Bill your customers easily with true What You See Is What You Get invoice templates. The billing software allows you to manage customers, products, invoices and payments easily. Designed for the small to medium sized business. Invoice Expert is your complete invoice and billing software solution. Enterprise invoice processing software is fully capable of adding, updating, deleting and saving records of company, party or item. Accounting and invoice automation utility capture and process invoices, stock, income, expenses etc of company. Bid-n-Invoice Lawn Care is an Estimate and Invoice program for the Lawn Care professional. Bid-n-Invoice Day Care is an Invoice program for the professional Day Care Operator. Bid-n-Invoice Mobile Wash is an Estimate and Invoice program for the Mobile Wash professional. Desktop-based appointment management system that makes it easy to manage your customers, appointments and resources/service/locations/employees. It also offers billing and invoicing functions plus financial reporting. A scalable business system that can meet the demands from most small businesses. Start with writing invoices on a single computer and expand to a complete invoicing system run on a network.